What a refreshing surprise, and just in time to brighten your dreary ol’ February! Woo-hoo! I’m amkin’ it today!! No. I’m makin’ it today! No, I’M macon it today! 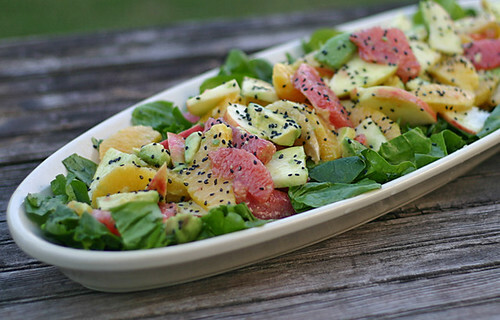 I’ve never had avocado in a fruit salad like that – love! Have a great weekend!